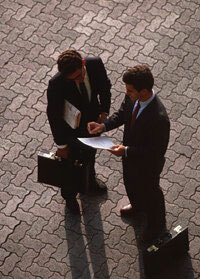 MPR Associates specializes in consulting with business owners to grow and improve their companies. Located in Tustin California, our business consulting practice serves all areas of Southern California. MPR Associates offers business operations and technology consulting, project planning, management and implementation for both small business startups and established companies. Our focus is on working with businesses that are fast paced, flexible, and able to respond readily to their customers needs. Their ability to react quickly to changes in their marketplace, and exploit these opportunities, makes them ideal candidates for our services. MPR Associates offers a cost, and time effective solution for business. You will find us a continual source of new ideas for controlling costs, improving workflow and maximizing profits. We can help you build a stronger more effective management team, to you meet your business goals and objectives. Whether you have a project in mind, or would just like to explore how we can you facilitate your business objectives... we can be of assistance. Copyright © 2018 MPR Associates, All rights reserved.